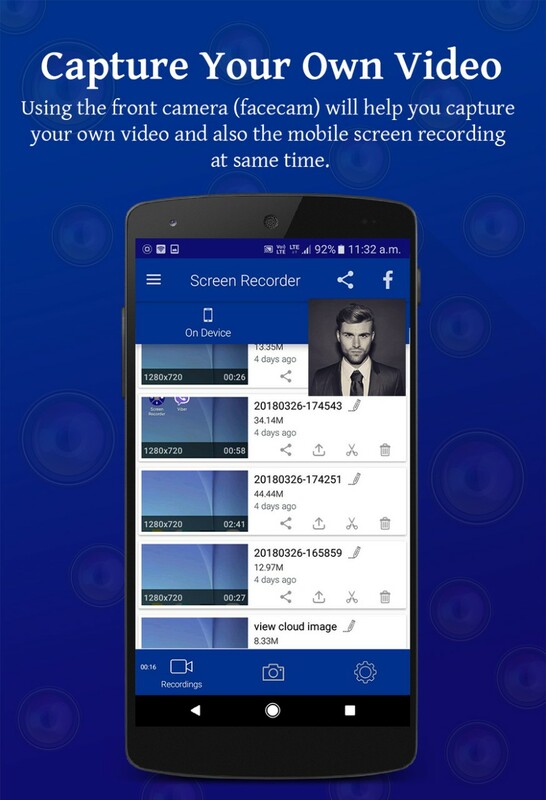 If you have a front camera-enabled phone, you can use Screen Recorder to record a parallel video along with recording your screen. 1. Click on the floating-button to start an interactive video. 2. The video from the front camera appears in a small window which can be moved and placed anywhere on the screen by tapping, holding and dragging it. 3. You can react to video through the front cam and make your video interactive. 4. 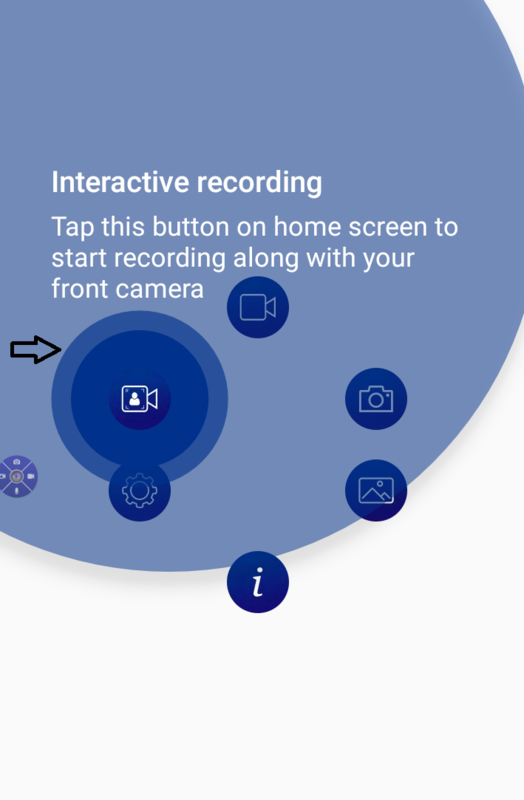 Since the app records audio as well, it comes in very handy in creating interactive videos. 5. You can also record interactive video using notification bar.